Honorable service in the military typically makes you a veteran for life. To be eligible for the variety of veteran benefits depends upon many elements from time in service, permanent injury. What is a "veteran"? 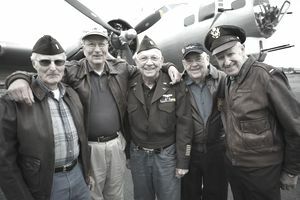 Title 38 of the Code of Federal Regulations defines a veteran as “a person who served in the active military, naval, or air service and who was discharged or released under conditions other than dishonorable.” This definition explains that any individual that completed a service for any branch of armed forces classifies as a veteran as long as they were not dishonorably discharged. There are different types of veterans, but regardless of the type, they are all veterans. The types of veterans below offer different awards and benefits from home loans, retirement and medical/dental. Other offered benefits allow for retired veterans to have base access and store privileges and all veterans are offered the GI Bill if they opted in at some point in their career. War Veteran - Any active duty or reserve military member who has been in the area of conflict in another country or surrounding waters in support of activity against a national enemy. Combat Veteran - Active duty or reserve military members who experience any level of combat for any duration resulting from offensive, defensive or friendly fire military action involving an enemy in any foreign theater. Retired Veteran – Retired veterans serve a minimum of twenty years of active duty or reserve duty. Medically retired veterans receive injuries that prevent them from remaining active duty and are thereby retired regardless of years of service. Retirees are eligible for supplementary federal benefits, privileges, and access to military installations, and some VA services. Disabled Veteran – Any former active duty or reserve military member who was injured through combat action or peacetime accident while serving on duty and is permanently injured. "A veteran whether active duty, discharged, retired, or reserve is someone who, at one point in his or her life wrote a blank check to their government for an amount of “up to and including his or her life." Another classic veteran quote that demonstrates the many freedoms that we have the veteran is responsible for defending - even with his/her life if necessary. Is a Professional Resume Writer Worth It? Can I Get Military Service Credit for Federal Retirement?